There’s no denying it. 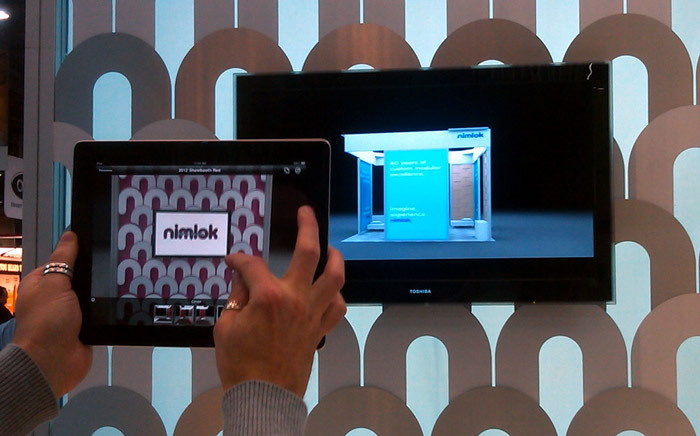 Interactive media is alive on the trade show floor, and it’s here to stay. Whether your trade show goal is to capture new leads or create some ground floor buzz around your brand, interactive media is a viable and versatile option. Games, surveys, slick animations and informative interactive elements provide visitors with a great experience while stealthily conducting business. You’re looking for a portable, versatile solution. Staff can approach attendees individually with the device. You want to stick to the basics. Show products, website or collect lead data without all the bells and whistles. If your company has one available for use, it’s free! You want a sleek, interactive program on a larger scale, putting digital technology on display as part of the exhibit design. Your interactive element needs its own space. Encourage attendees to visit this station of the trade show booth. Don’t miss part 2 of our interactive technology post! We’ll delve into content options, strategy and share some great examples to get your wheels turning. In no time you’ll be incorporating interactive elements into your exhibiting plan.